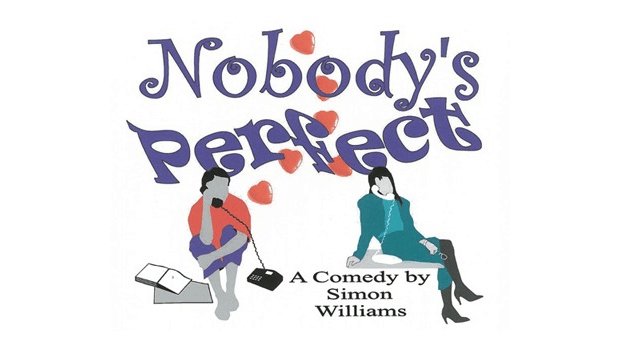 Haines City Community Theatre announces the cast and crew for the final show of their 2015 season, “Nobody’s Perfect,” by Simon Williams. Cast members include David Smith, Sally O’Quinn, John Tasin, and Kaytlynn Mullinex. Director is Renee Palmer, Stage Manager is Karis Frenchak. Synopsis: When Leonard Loftus wishes to submit his novel to a feminist publishing house, he is forced to do so under a female pseudonym. When he wins first prize, Leonard begins to have a major problem. What follows is a hilarious dilemma of cross-dressing and cross-purposes, not unlike those found in movies such as “Some Like It Hot”, “Tootsie” and “Mrs. Doubtfire.” Acclaimed as a classic feel good romantic comedy, this play is sure to offer belly laughs galore. Haines City Community Theatre is located at 303 Ledwith Avenue in Haines City. This is in the old library building which is in front of the Lake Eva Complex on the corner of 3rd Street and Ledwith Ave. The production runs for three weekends—Saturdays at 7:30pm and Sundays at 2:30pm from April 18-May 2. Ticket prices are $15.00 with a discount for groups of 25 or more. For further information please call (863) 421-1893 or visit www.hainescitytheatre.com.